Meeting up with ex-classmates Otway and Gray Latham and their associate Samuel Tilden (the wealthy son of a former governor of New York, who supplied much of the financing), the four formed the Kinetoscope Exhibition Company to make boxing films for the Kinetoscope, using Edison's studio. Rector was possibly involved in extending the capacity of the Kinetoscope viewer to take longer films. Later the company, re-named Lambda, made their own cameras and projectors, and Rector claimed credit for the 'Latham Loop' - introduced in their camera to reduce strain in the film and enable longer sequences to be taken, essential for fight films - but Dickson or Lauste may have been the true inventors. 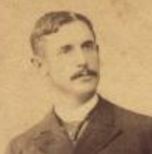 Rector managed the Leonard-Cushing fight, but then, Rector and Tilden left the Lathams's Lambda company to set up on their own. They arranged to have four Edison cameras at the ringside when Bob Fitzsimmons and Jim Corbett were scheduled to fight in Texas in late 1895, but shortly before the bout was due to take place prizefighting was outlawed in Texas and the fight could not be restaged elsewhere. Rector was involved in arranging for Fitzsimmons to fight Peter Maher in Mexico, and the match went ahead but bad weather made photography impossible - and in any case, the contest was over in seconds as Fitzsimmons KO'd Maher in the first round. Salvaging what he could from the expedition, Rector photographed a bullfight at Juarez. Unhappy with the limitations of the Edison camera, he was soon working on his own camera and took various subjects in and around New York. In March 1897 Corbett and Fitzsimmons went into the ring at Carson City, filmed by Rector with three cameras using a 63 mm format (so that the resultant film could be exploited exclusively) and taking eleven thousand feet of film. 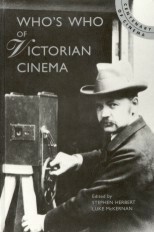 Rector installed a projector, the Veriscope, at the Academy of Music, 14th Street, New York, and ran the film through the early summer of 1897, and in July at the Park Theatre, Brooklyn - and elsewhere in the USA, presented by buyers of the territorial rights. Eventual profits on the film were reputed to have been more than $120,000.